Sometimes the most fundamental legal concepts are so basic and intuitive that they tend to fall by the wayside in practice. Case in point is a recent Fifth Circuit opinion throwing out an arbitration agreement because the employer didn’t follow its own instructions spelled out in the agreement. In this case, the Fifth Circuit sided with employee Kimberly Huckaba, who sought to nullify her arbitration agreement in a sexual harassment and retaliation claim against her former employer, Texas-based engineering and construction services firm Ref-Chem LP. The appellate decision focused on a dispute resolution agreement signed by Ms. Huckaba that mandated arbitration for such claims and included boxes for both employer and employee to sign. No one from the company signed the document, which would not normally be a problem because Texas courts have previously held that such signature blocks are insufficient to establish that signatures are required. The problem for Ref-Chem is that the agreement specifically spelled out that both parties were required to sign for it to go in effect. The case is Kimberly Huckaba v. Ref-Chem LP, case number 17-50341, in the U.S. Court of Appeals for the Fifth Circuit. The panel wrote that if it adopted Ref-Chem’s argument, the words of the agreement would have no meaning, and also that the company could “have it both ways,” by arguing it did not intend to be bound because it didn’t sign the agreement, or argument it did because it kept the agreement on file. When it comes to things like contracts, restrictive covenants and employment policies, words really do matter. Too often, employers simply hand new arrivals a stack of on-boarding documents and policy handbooks, but never bother to make sure they are returned or properly signed. 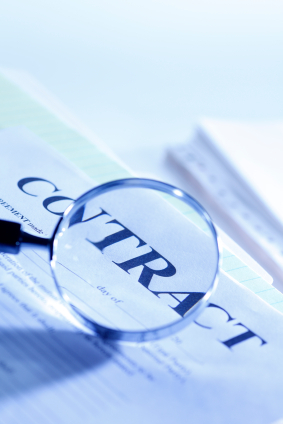 Years later when faced with noncompete violations or any number of contract breaches, the company discovers, too late, that there is no contract or the one in hand has not been properly executed. This case is a potent reminder for employers to review on-boarding procedures and ensure that polices and other contracts are properly memorialized. This entry was posted in Arbitration agreements, Executive contracts, Fiduciary Duty, Legal, Litigation and tagged arbitration, executive contracts, Joe Ahmad, Joseph Ahmad, litigation, retention agreements. Bookmark the permalink.